Sinn Fein vice-president Michelle O’Neill has claimed there will be an Irish unity referendum “within the next short number of years”. The Mid Ulster MLA made the comments while addressing colleagues at the party’s local election campaign launch in Dublin yesterday. Mrs O’Neill said that the Brexit debate had changed opinions on a united Ireland and called on people to begin preparing for a border poll. She said that “change is in the air”, pointing to the electoral success of Sinn Fein in the two most recent votes. “Over the past two elections in the north the unionist majority has gone,” Mrs O’Neill added. Unionists no longer hold the majority of the seats in the Stormont Assembly. Mrs O’Neill said the “notion of a perpetual unionist majority — the very basis of partition — is gone” and that Brexit had “completely transformed the context”. “People who were previously apathetic about a united Ireland are re-engaged, and people who would have been opposed to a united Ireland are now reconsidering their position,” she added. Mrs O’Neill said that because of Brexit, Irish unity was “no longer a long-term aim”, and that a referendum was a “very real prospect within the next short number of years”. She called on party members to “reach out and work with people from all identities and ideologies, and persuade them that interests are best served in a united Ireland”. “A united Ireland is within our grasp. We are in the most defining period since the Good Friday Agreement of 1998 and Ireland is changing rapidly,” she said. Meanwhile, Sinn Fein leader Mary Lou McDonald confirmed that the party will meet in Belfast next week to select its local candidate for the upcoming European elections. It remains to be seen whether UK candidates will participate, but Prime Minister Theresa May has indicated they could as she seeks another Brexit extension until June 30 due to the ongoing chaos at Westminster. It is anticipated European Council president Donald Tusk will suggest a year-long extension, which can be ended if the UK agrees a withdrawal deal before an upcoming summit in Brussels. “Sinn Fein will be ready, we will be prepared to energetically contest EU elections in the north,” Ms McDonald said. Nominations for the candidate will open today and close on Friday with a selection convention held in Belfast next Saturday. 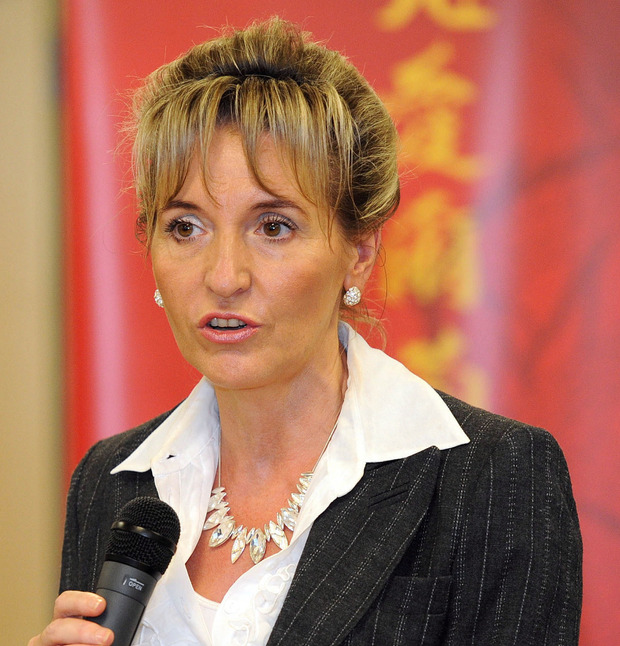 Party veteran Martina Anderson is the standing Sinn Fein MEP.